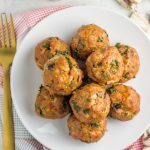 A Whole30 meatball recipe with some KICK! 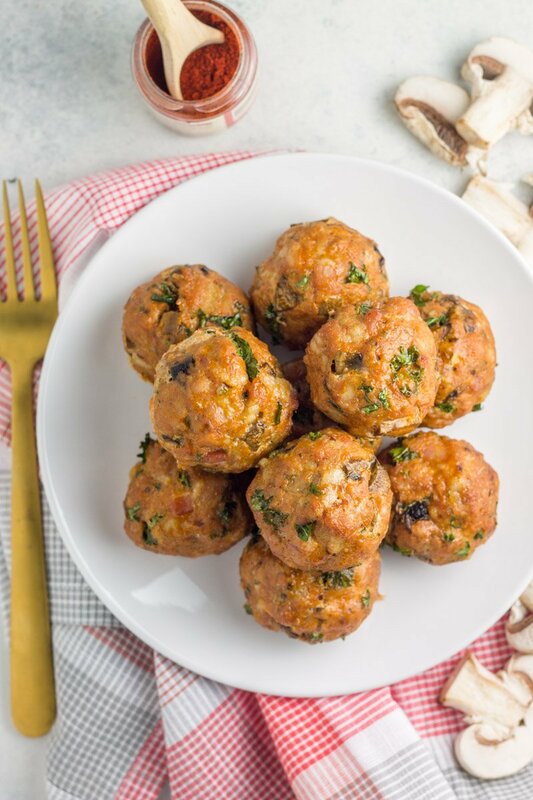 These bacon mushroom chipotle turkey meatballs are packed with flavor in every single bite. Not only made with simple ingredients, but SUPER easy to make, and even customizable to lessen the heat if you’re a kind of a wuss (like me). It’s a dude’s dream: bacon chipotle meatballs. Sorry, is that stereotypical? Where are my bacon-eating, heat-lovin’ ladies at?! Luckily meatballs don’t discriminate. 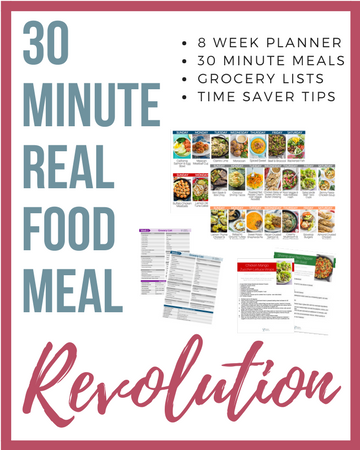 These Whole30 BALLZ are packed with so much goodness, perfect for tricking your guy into eating a compliant meal despite his hesitation you’re doing another Whole30. Because the ‘healthy eating’ pushback is something I know all too well. Oh my dear husband, how I love you so. Lucky for him, I love making meatballs (especially ones he will eat). Meatballs are stupid easy and the flavor profile can span from sweet to spicy to tangy. But these my friends, they are for those crazy people that like a little kick in their balls. Wait, that didn’t come out right. Annnnnyway…..
It’s no secret my Midwest taste buds don’t love food with heat. Even though I haven’t lived in my home-state for over ten years, I still haven’t grown out of my wussy food tolerance. So if you’re like me, and ready to toss this recipe to the side, WAIT. I have a spicy version, and a wussy version. It’s all good – I’m here to serve. 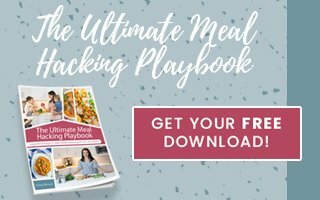 EASY Whole30 meals are my go-to this time around. I simply don’t have the time I once made for experimenting new meal ideas and trying to be a culinary whiz. It’s about simplicity and making stuff everyone will eat. We aren’t fancy over in these parts! Except when it comes to bedding. I need a perfectly countered pillow, a fluffy pillow top mattress, and sheets that feel like butta….woah, sorry so off topic. 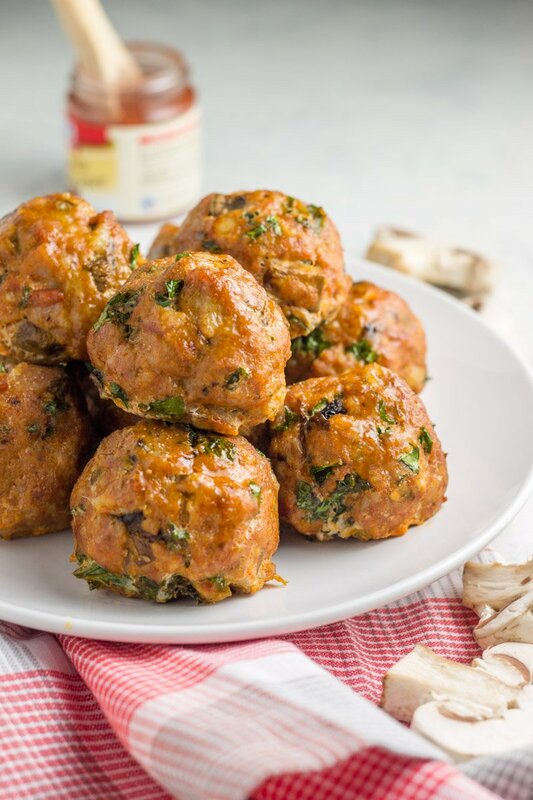 These bacon mushroom chipotle turkey meatballs may not be all fancy, but they taste better than fancy, ‘specially if bacon is sort of your jam. And hey, they have kale in them, which means they’re find of fancy (kale is the ‘it’ thing you know). Basically what I’m trying to say is these meatballs are just, everything. 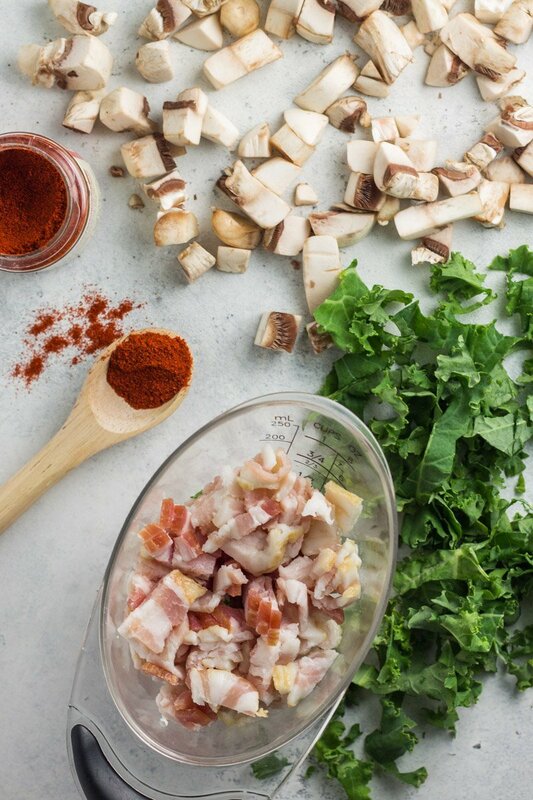 A must-make meal during your Whole30, or paleo, or just MEAT lovin’ journey. 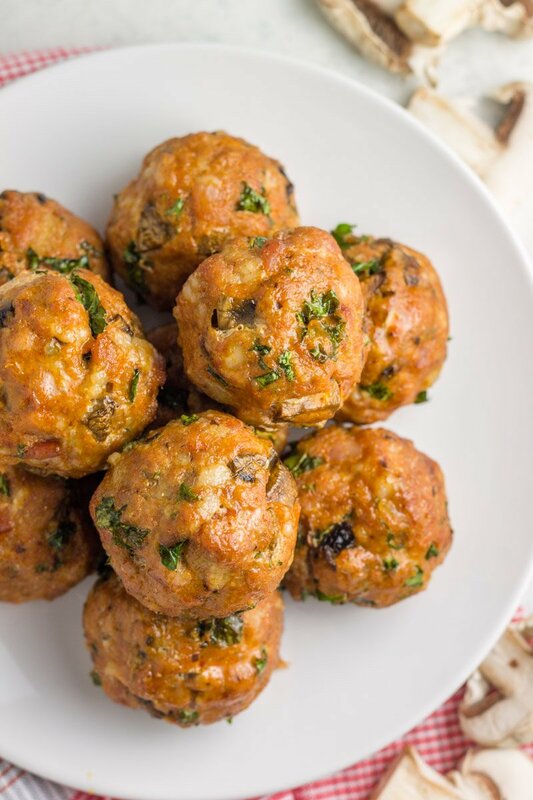 If meatballs are your go-to when it comes to dinner, then you definitely have to also try these Whole30 baked buffalo chicken meatballs and this tomato basil bisque with Italian meatballs (also Whole30 compliant) too! 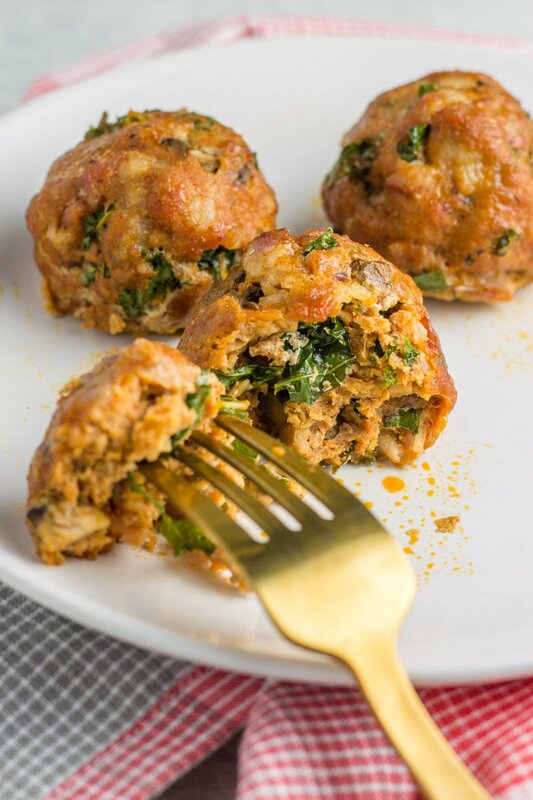 Simple paleo + Whole30 compliant turkey meatballs packed with flavor. Meatballs made in under 30 minutes! Hehe… I had to chuckle at the ‘wussy’ and ‘spicy’ terms. 🙂 I”m definitely more of a wuss. 🙂 And these meatballs look absolutely delicious Chrissa. If I subbed out turkey for chicken would I have to change the cooking times or anything? Nope should be the same! What do you serve these with to make it a complete meal? Thanks! Usually just roasted veggies around here!